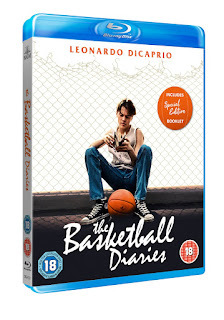 The Basketball Diaries starring Leonardo DiCaprio is celebrating it's re-release on Blue Ray DVD this Monday. 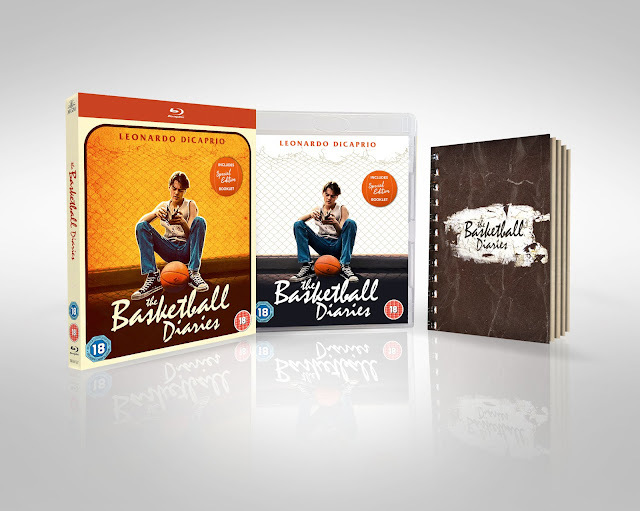 First released in April 1995, it tells the story of Jim Carroll (Leo) whose life is consumed by being a high school basketball star. Cracking under the pressure from a concerned mother and a mean coach, he is lured into the world of heroin by his so called friends. After being suspended from the team, Jim and his friends do everything they can to get enough money to score their next hit. Jim's only hope may lie in his friendly neighbour Reggie. The Basketball Diaries is Leo's second film, after starring in What's Eating Gilbert Grape in 1993. This film earned Leo his first Academy Award nomination as well as proving to critics just how good of an actor he is. Personally I love Leo and have watched many of his films but I can't remember ever watching The Basketball Diaries so I was intrigued to finally set some time aside to watch it. Based off the book of the same name published in 1978, it supposedly is loosely based on the memoir of Jim Carroll himself. It expertly shows (with some room allowed for romanticism) just how far Jim's character is willing to go to get his next hit. With Leo himself being so young when he took the role, he makes it very believable. Whenever we see Jim he is always writing everything down in his notebook, trying to make sense of what is happening through poetry - in the end this is what saves him and gives him another avenue to go down when he comes out of prison clean of heroin. Whether this is a true story or is just loosely based off of the diaries produced by Carroll himself remains to be seen but some could say that the film is a poor portrayal if this is the case. It lingers too long over the horrors and ends with unseemly haste after happiness is regained. Sometimes that's the problem with films which are based off of the experiences of others, the narrative kind of gets lost because the director wants to get to the happy ending to show that everything works out for the best, but the problem with that is the moral can get lost along the way. If there's anything more boring than a juicy parable with a moral at the end it's a moral without a parable. In this case it shows that if you do drugs, you're likely to end up on the streets trying to peddle a body which looks less and less like a good buy. They always say the book is better than the film and in this case it's true, Carroll's book struck a personal note of a kid who has come a long way from being a basketball star tipped for success, tries to turn his experience into poetry. In the film however, is that the director (Scott Kalvert) tries to make this too literal. Jim, our hero, is so desperately sick and unhappy that the romanticism is too unconvincing - the scene where Jim and his friends play basketball in the rain after his best friend dies of leukemia, instead of looking touching touching, they all just look wet. This film could have been so much more than it turned out to be. For what it is, it's a good film showing the spiral that can happen when your dreams are taken away from you and the hero's eventual rise back to normality. I'd recommend seeing it, if only for Leo's superb acting skills and stardom that's yet to come. 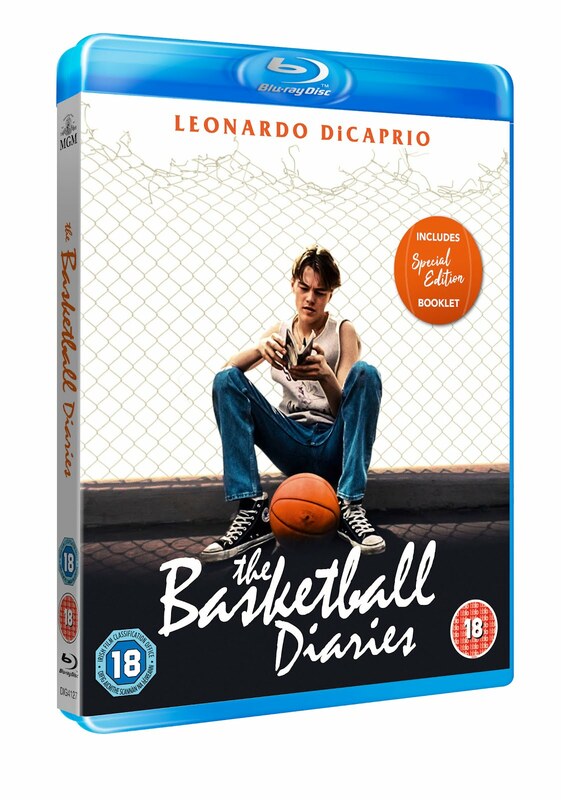 The Basketball Diaries is available on Blu-Ray DVD from Monday 18th March.